Please arrange your schedule as below brief program. The full program will be updated in November 2019. Day 1: The first day is all about registration, participants are supposed to sign in at the conference Conference Venue and collect all the conference materials at the registration counter on this day from 10:00 am to 5:00 pm. However, the registration is still open on the 2nd day of the conference within the same time. Day 2: The conference chair will be hosting a opening ceremony around 9:00 am in the morning , and all the participants are supposed to be there, then the keynote speakers will deliver their spectacular speeches and share their cutting-edge research fruits with the participants. During the intermission, there will be a photo session for all the participants to take a group photo. Participants' presentations are divided into different sessions based on the conference topics, participants should find the right session room and be there at least 3 minutes earlier to copy his ppt/pdf presentation into the laptop and get ready. Then the session chair will start the session on time, and give a grade to each presentation, which should be within 15 minutes, including Q&A. After each session ends, the best papers will be announced and the certificates will be awarded. The visit is optional to participants. The detailed arrangement will be provided in the middle of November 2019. Below is just for recommendation, not final arrangement. Enjoy sightseeing near Japan’s iconic Mt. Fuji, including a Lake Ashi cruise and visit to Mt. Komagatake during this 11.5-hour day trip by coach from Tokyo. See the celebrated Mt. Fuji during a stop at its famous 5th Station, then take a laid-back boat cruise on beautiful Lake Ashi before touring Mt. Komagatake’s ropeway and summit, offering amazing views of nearby Hakone National Park. Mount Fuji (富士山 Fujisan, IPA: [ɸɯꜜdʑisaɴ] ), located on Honshū, is the highest mountain in Japan at 3,776.24 m (12,389 ft), 2nd-highest peak of an island (volcanic) in Asia, and 7th-highest peak of an island in the world. It is a dormant stratovolcano that last erupted in 1707–1708. Mount Fuji lies about 100 kilometers (60 mi) south-west of Tokyo, and can be seen from there on a clear day. Mount Fuji's exceptionally symmetrical cone, which is snow-capped for about 5 months a year, is a well-known symbol of Japan and it is frequently depicted in art and photographs, as well as visited by sightseers and climbers. Mount Fuji is one of Japan's "Three Holy Mountains" (三霊山 Sanreizan) along with Mount Tate and Mount Haku. It is also a Special Place of Scenic Beauty and one of Japan's Historic Sites. It was added to the World Heritage List as a Cultural Site on June 22, 2013. According to UNESCO, Mount Fuji has "inspired artists and poets and been the object of pilgrimage for centuries". UNESCO recognizes 25 sites of cultural interest within the Mount Fuji locality. These 25 locations include the mountain and the Shinto shrine, Fujisan Hongū Sengen Taisha, as well as the Buddhist Taisekiji Head Temple founded in 1290, later immortalized by Japanese ukiyo-e artist Katsushika Hokusai. ---Take in stunning views over Hakone National Park from the Mt Komagatake Ropeway and stroll around the mountain's summit Hotel pickup from select hotels and locations in Tokyo. What You Can Expect Get ? Out of the city and into nature as you visit the famous Mount Fuji and its top nearby attractions like Lake Ashi and Mount Komagatake on this 11.5-hour excursion from Tokyo. Along the way you’ll get a sense for amazing natural landscape in the immediate region just outside Tokyo’s biggest city. 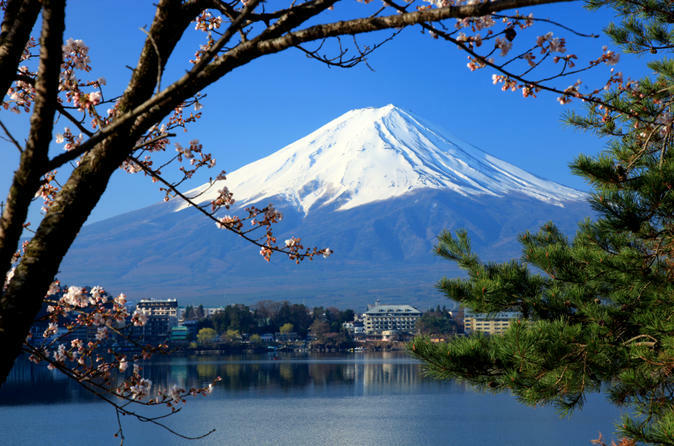 Start your tour of Mount Fuji and environs in the morning with a pickup from select hotels in Tokyo and then proceed on by air-conditioned bus for a 2.5-hour ride to Mount Fuji, heading up to a height of 7,607 feet (2,305m) above sea level on the mountain. 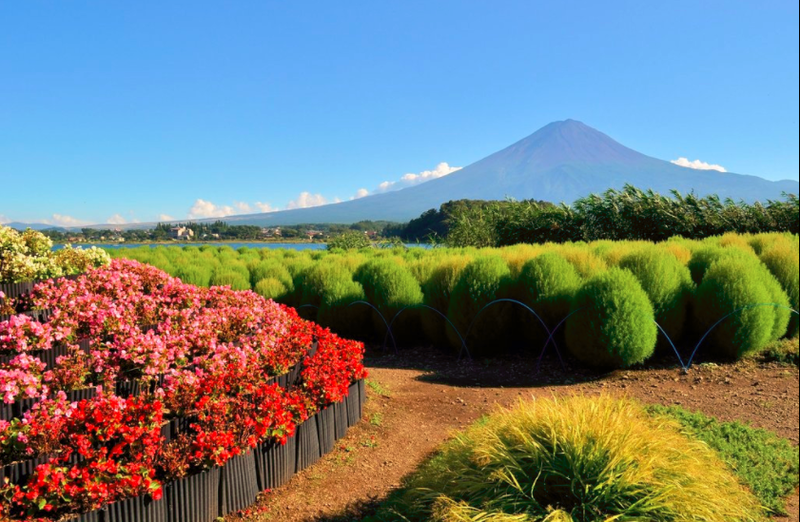 Upon arrival at Mt Fuji, enjoy the astounding views of the entire region and an informative museum that details the ecology, meteorology, culture and history of the mountain and the nearby Fuji Five Lakes. You’ll also have time during your stop to check out the second-floor observation deck, offering stunning vistas of the peak of this renowned mountain on clear days. Continue to Mount Fuji’s 5th Station, which lies about halfway up the mountain, for more incredible views. Take 30 minutes to wander the site’s souvenir store and its torii gates and shrines, which help commemorate the mountain’s symbolic role as a transition between heaven and earth. Stop by a local restaurant to enjoy a Japanese-style lunch. Head next to Lake Ashi, which lies in a crater formed by a massive volcanic eruption around 3,000 years ago. 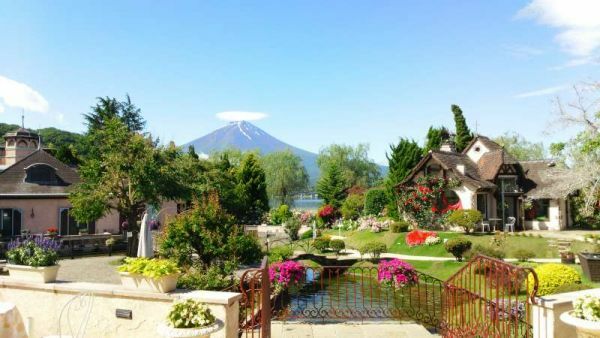 Take a short 15-minute cruise of this postcard-perfect body of water, admiring views of Mount Fuji, Mount Komagatake and other peaks in the distance. Move back to the lakeshore after your cruise, where you’ll continue to the Mount Komagatake Ropeway, which will whisk you to the mountain’s peak. Climb ever-higher aboard this aerial tramway as you head to the summit, where you’ll then have 50 minutes to wander around. Explore the beautiful views as you explore the top of the peak, including great views of Mount Fuji, the Izu Peninsula, and Izu islands, among other features.